The HL7 Focusing Headlamp boasts both adjustable focus and light dimming functions. 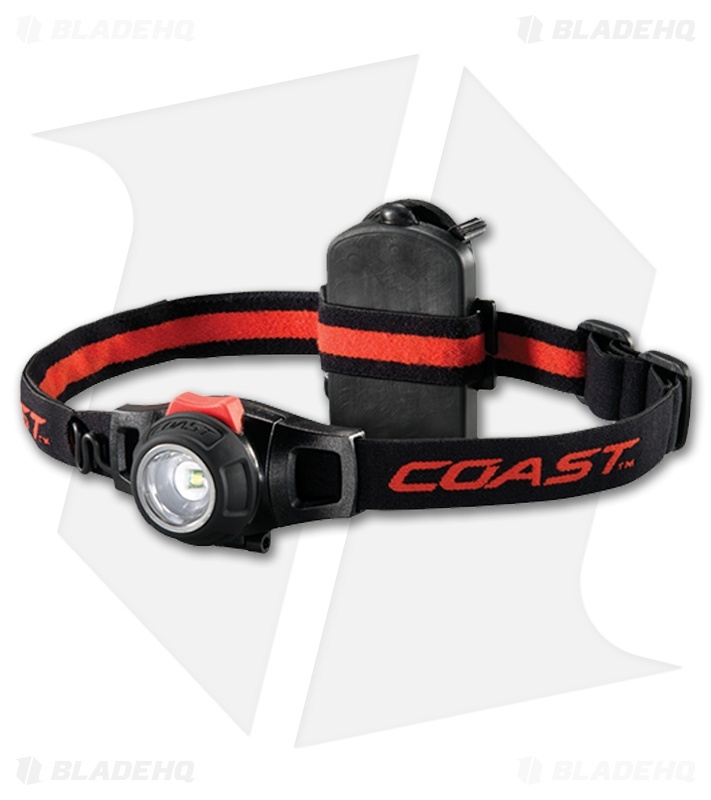 With Coast's new beam shaping technologies such as our Pure Beam Focusing Optic system, you get more usable light. From spot to flood, our new optics produce superior light output and beam quality. The Bulls Eye spot beam pattern gives you a great focused spot with a maximum beam distance of 96 meters, while producing an outer ring of flood light which allows you to see a broader area for added side vision. A larger power switch and easier-to-grip focusing bezel ensure no fumbling in the dark to get your light turned on and adjusted; even while wearing gloves. A handy dimming function allows you to adjust your light output to just the right level for your application. For added durability, an expandable Z-Cord provides power to the LED from the battery pack and is built in to the headband to reduce the possibility of snagging. Tested and rated to ANSI/FL1 standards, the HL7 features an unbreakable LED and is impact and water resistant. Backed by Coast's lifetime guarantee against defects in materials and workmanship.